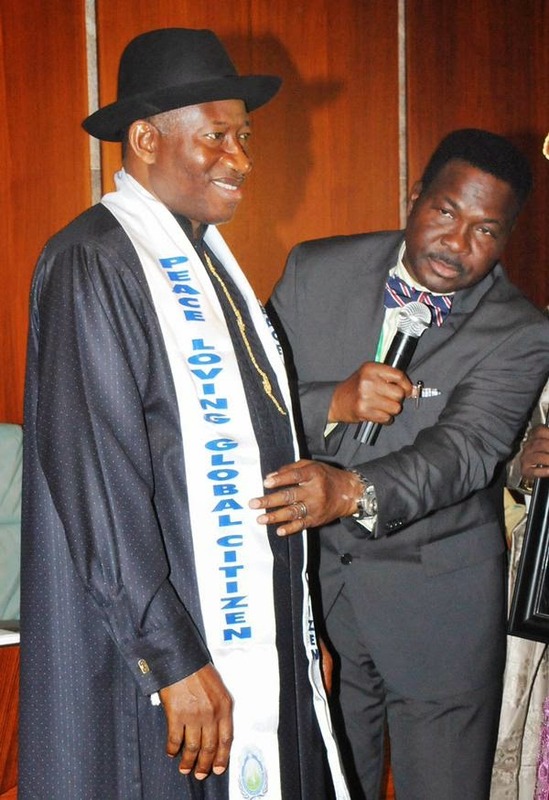 President Goodluck Jonathan of Nigeria has received the award of ‘Peace-loving Global Citizen’, in recognition of his commitment to the unity of the nation has continued to see its ethnic and religious diversity as its strength. The award was given to the President by the Universal Peace Foundation on Tuesday in Abuja. Conferring the award on the President at the Presidential Villa, the leader of the group and a constitutional lawyer, Mr Mike Ozhekohme, commended Dr Jonathan for his commitment to ensuring that Nigeria remained united, despite predictions of disintegration. He will now represent Nigeria at the global peace council taking over from Mr Ernest Shonekan. In his acceptance speech, President Jonathan reiterated his commitment to the unity of Nigeria, insisting that he will never be part of any action that can lead to Nigeria’s disintegration. “I will never be a party to Nigeria’s disintegration,” he said. 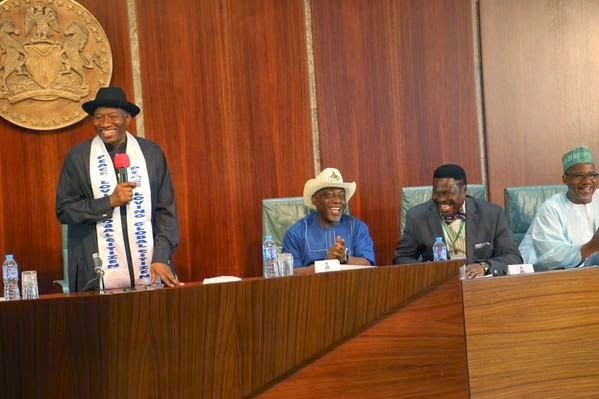 Dr Jonathan reinstated his position that he would dedicate the remaining part of his life to issues that would bring unity and peace to the country. Dr Jonathan called on Nigerians to commit themselves to strengthening those issues that would promote the nation’s unity, despite the diversity. The Nigerian President, who will be handing over to a new administration on May 29, also urged the President-elect, General Muhammadu Buhari to appreciate the contributions of well-meaning Nigerians and see how Nigeria could be governed as a country that belongs to all.